The PA Breast Cancer Coalition (PBCC) is a 501(c)3 organization. Every dollar donated to the PBCC makes a difference and allows us to keep our doors open as we help the women and families of Pennsylvania. For more information about our financial history and spending, please review the Annual Reports posted below. Through these documents and the programs the PBCC offers, we hope you will join us as we fight to find a cure now...so our daughters won't have to. The PBCC is incorporated as a 501(c)3 in order to provide tax incentives to its contributors. Better Business Bureau standards require charities to spend at least 50% of all contributions on their stated causes. 90% of all donations to the PBCC go toward programs providing breast cancer education and outreach including: Friends Like Me™, the PBCC Breast Cancer Research Initiative, the Pennsylvania Breast Cancer Coalition Annual Conference, and our traveling photo exhibit 67 Women - 67 Counties: Facing Breast Cancer in Pennsylvania™. 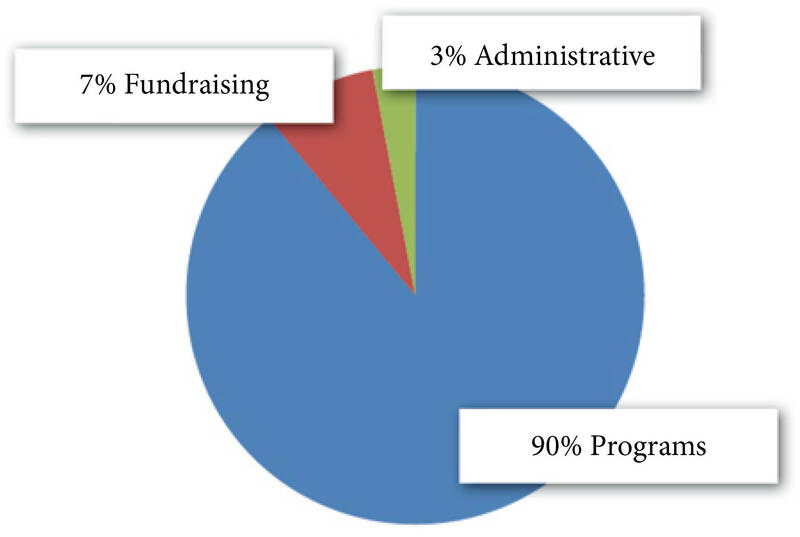 7% of your donation goes toward fundraising and 3% goes toward our administrative costs such as salaries for employees and office equipment.